Sky blue is my color, and theme for this year. Found this while randomly surfing the ‘net that is inter…. This is an inspired writing. 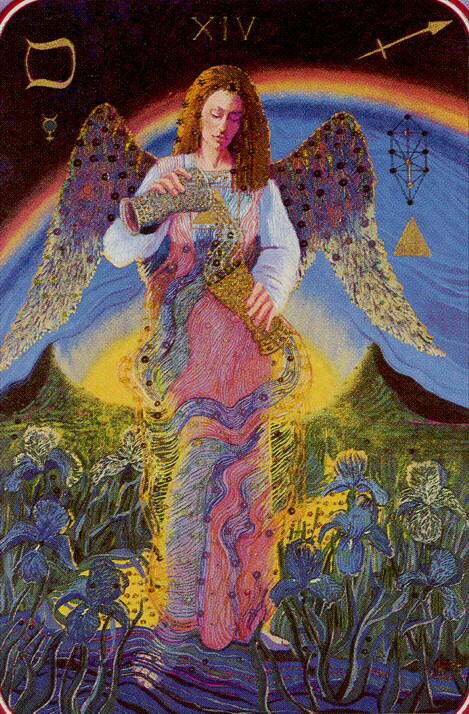 I am writing this message to all who are reading from the angels. The card reading was done after the inspired writing and I find it to be fitting as to what I was inspired to write this morning and also in keeping with the theme of yesterday’s inspired writing. We see you and are with you every moment. Why do you struggle so? Why do you dwell in sadness? Live with guilt or regret? God longs to hear the prayers of your heart and see you live in freedom. Don’t forget that you are never alone. 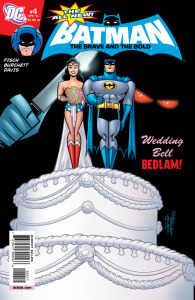 Batman And Wonder Woman Get Married? I think Catwoman might have something to say about this…. Just before this, both Batman and Wonder Woman got blasted by some sort of pink love ray, so I suspect some Star Sapphire/Zamaron involvement here. 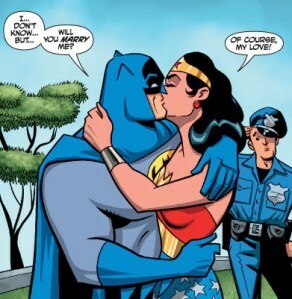 But yeah, it sounds like a cute issue… and I like that they went with an old school version of Wonder Woman. She looks very Silver Age. Look for the issue in stores now. via Who Is That Jack? That’s right. A simple delve into the world of cards has brought me here to answer a simple question. As always with everything online, please do your own research, and furthermore, let me know what you think when you think it. I’ve always intellectually known that it’s a good number, as 24*7 is in fact 168. 13 squared equals 169, and the one leftover is there for you to interpret what to do with it. I’m pretty sure I’ve written about this before either here or elsewhere, therefore a search will probably give you extraneous results that have nothing to do with me, or anything else numerologically…. I know I’ve written about this elsewhere, however it bears repeating. I want to know what you look like. Producer, one of the seven or eight things I do depending on whom you ask makes this relevant. I don’t want to know what you looked like more than let’s say three years ago. The best version of yourself is who you are live in front of me. If you send me to a site with pictures that make you look significantly younger than what you actually look like, you’ve wasted my time. I get paid a lot of money when I get paid and you probably can’t afford me. I expect that you do as well. The entertainment industry has unions with scale, and they’re purportedly a living wage. That’s why we got into this in the first place right? I give you respect, and politely look at your headshot, and then you come in with a look that is radically different. You’ve wasted gas, and your time as well. Furthermore, this is 2018, and I don’t hide my emotions or my opinions from anyone, therefore if I call you out for an old headshot, you may have lost a job not only with me, but with all of my producer friends as well. You’re probably asking yourself, “Mike, where’s your headshot?” Well, I could post a current one here, but it’s available elsewhere. It’s an even numbered year, so the mustache is current. I’m willing to shave it for the right price as allegedly it will grow back. At least, that’s what they tell me at Barber College. I’m not saying my time is more valuable than yours, however in this instantaneous society in which we currently live, do you really want to take a chance like this? I know I don’t…. I do feel a bit hypocritical however. I had a really great photographer take headshots of me, and I haven’t posted them yet. I’m faced with too many choices syndrome. Again, 2018, and digital photography are the culprits. I’ll probably end up posting what I end up with here at some point. If I’m wrong, let me know in the comments, okay? I didn’t even know she was seeing anyone. Go with me on this, as I’m riffing a pitch that I’m making this Friday for the UMFF in Palos Verdes Peninsula. I’ve been attending this thing since 2013, and this year, I’m also directing a scene for the screenplay showcase Saturday night. Pray for me to whichever God you worship, as I’m still casting.. Thanks!!! As we all know, Seacoast City attracts all types of heroes, villains, and superheroes. They have relationships, and offspring. Faith is the daughter of Mister Destiny, a superhero that made the ultimate sacrifice saving the city yet again. She doesn’t know this however. She wakes up from a dream that is actually a vision, as she’s experiencing one of her inherited powers for the first time. This vision drives the rest of the story, and as she has foretold, the reality is different. Observing an event necessarily changes its result. Actively influencing it causes even more ripples, and it’s something her dad struggled with throughout his entire career. She attempts to intervene in the mayor’s assassination attempt, and succeeds to a point. His wife gets shot, and falls into a coma. Unknown to Destiny, the mayor is secretly The Black Fox, and protected the city with Mr. Destiny back in the day. He took time off after he thought he rid the city of the supervillain menace, but it wasn’t meant to be. Ultimately, the Fearless Assassins In League come to town, and are directly and indirectly involved with the shooting. Mr. Destiny’s ex returns to the life of crime from whence she came, as no heroic influence to be had. Reverting to type being all the rage. Supervillains that have been caught are released, and the police chief retires. He’s replaced by a corrupt chief that might be mind controlled by one of the members of FAIL! Destiny has a vision that Mayor Scott Overstreet is secretly The Black Fox, and confronts him. He at first denies, but then the Red Scorpion breaks into the office, and gets thoroughly trashed by both of them. The Black Fox takes on a mentorship role with Destiny, as he feels that’s what her father would’ve wanted. In fact, those were his last words before he died. There’s a casino in town that is somewhat corrupt as well. One crime family steals from another, and it’s amazing that all the graft going on is somewhat unnoticed by the citizens of Seacoast City that seem to patronize the casino on a more than occasional basis. Big production values on a small budget, as a 30 day shoot in The South Bay area can be achieved for around 2 Million Dollars!!! But this can truly be shot anywhere as tax incentives abound. About me: I won Best Screenplay in 2014 with Diamond is a Girl’s Best Friend, and I’m currently writing a script that I can’t talk too much about. 72 and sunny in Redondo Beach, which is Palos Verdes Peninsula adjacent….